If you’ve been at a residence for some number of years, you might start to think about your security again. It may be time for an upgrade, and rather than be unsure on the question to whether or not it is needed. Phone a professional now. Our staff is here on call, all hours of the day. 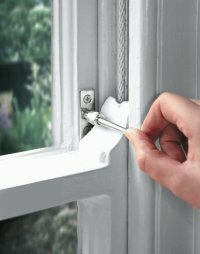 And advise on home security is available from our door and window lock specialist at your convenience. A question we often get is about when it is time to install new locks. The best ways to find out the answer to the question is to have a home security inspection done by a professional. Something you can give us a call and book in for at any time as well. In such a survey any out of date locks will be identified. With a friendly and prepared service as ours who carry many parts and spare locks with us to each site. Quick lock changes can be performed then and there. Bringing you up to date straight away should it be needed. Removing risk for any home or businesses in our local area is a privilege, and the readiness we nurture is for your benefit as well as for the general security situation of the community. Ask us about your home security and lock change needs at any time. Call to book in for your security inspection and lock check. Our trained technicians recommend to have your locks checked every other or tertiary year. As security is a fresh goods and at present times. The industry and technological advancements are moving forward at a fast pace. On both sides. A local professional who cares for your security will keep you updated on any security threats. Please phone us today with your questions.